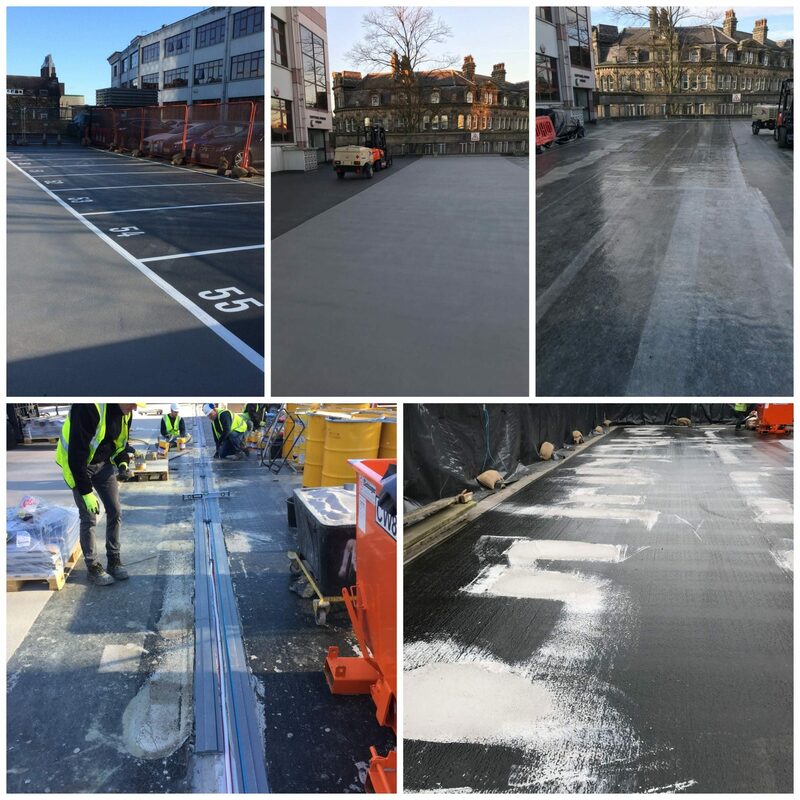 Works are progressing well on our car park refurbishment contract at Station Parade, Harrogate as we continue to carry out works to re-waterproof the 2,500m2 parking deck and access ramps. 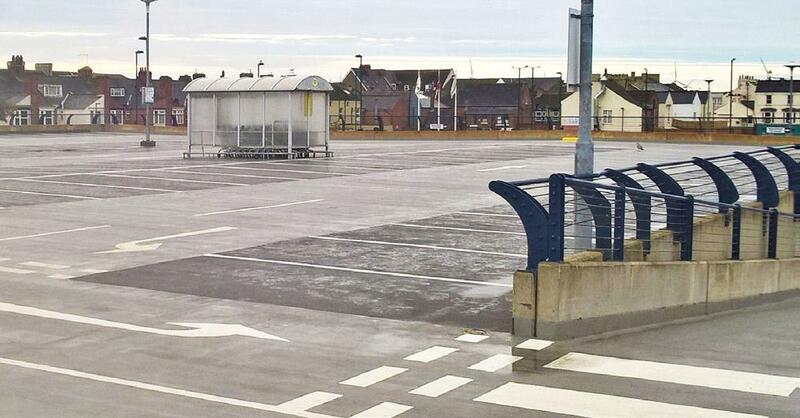 The original asphalt surface had badly split allowing water ingress to retail units below as well as being in need of general repair. The deck has been fully rejuvenated using Sika’s coloured rapid-curing and fully reinforced RB58 system with the previously failed movement joints having been removed and replaced with the PDRS movement joint system, also from Sika. Concrete repair and corrosion management works are also being carried out by Cemplas as part of our package of works.